Photo’s of Public Health Wales’ new super-sustainable, low cost office in Cardiff Bay. 94% of the furniture and 16% of the furniture is remanufactured or refurbished, allowing the NHS to afford top quality furnishings at contract prices. See NHS Cardiff case study for details. 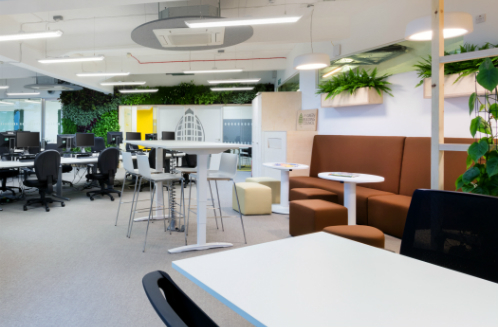 Rype Office provided remanufactured office furniture for the UK Green Building Council’s record-setting low carbon footprint refurbishment. See the UKGBC case study for details. For its new undergraduate course at the Dyson School of Design Engineering, Imperial College London chose sustainable furniture, which also delivered significant cost savings. Rype Office explains how this was achieved in this media release.